Also last Sunday, October 28, but in 312 CE, Roman emperor Constantine the Great, aged 32, is said to have crossed the Milvian bridge with a labarum bearing the sign of the Christ, a Chi Rho [ΧΡ] he saw in a dream, and won the battle for supremacy over the legally divided Roman Empire. The story of the miraculous sign is related by “the father of ecclesiastical history,” Eusebius, bishop of Cæsarea, which he writes after the Emperor is safely in his grave. 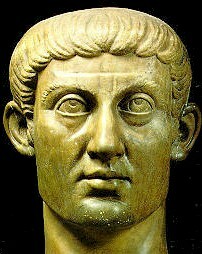 Constantine advanced to the Roman throne through rivers of blood, with more to come. He established a new capitol in Constantinople because he had been driven from Rome because, in a fit of jealousy, he had ordered the murder of his wife, a son, and a juvenile nephew. If he was a Christian, before his deathbed baptism, it is hard to tell: he carried pagan offices and titles throughout his life. The Empire was secured for the Christian cult to expand and grow, its supremacy assured by decrees shutting out competition, plus generous donations of state money and property. Thus did Christianity triumph. Within a century the state-supported Church was wealthy, corpulent and corrupt. 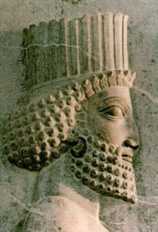 Last Monday, October 29, but in 539 BCE, the city of Babylon fell to the army led by Cyrus the Great (576-7/529 BCE), Emperor of Persia (کوروش بزرگ; Old Persian: Kūruš; Old Testament כורש). The city of Babylon, which was located south of Baghdad in what is now Iraq, never lived up to its scarlet reputation: it was reviled by Christians as a sink of immorality, vice and depravity, told in delicious detail by the Greek historian Herodotus, who never saw the city. But here history gets in the way of mythology: Babylon is the soil in which the Hammurabi Code matured about 4,000 years ago, at a time when the Hebrews were illiterate polytheists. That code, which its author says was man-made, not handed down from any god, asserts more rights for women and more justice for working people than any code of law until modern times. When Cyrus came calling, he took the city peacefully. Then he did something amazing: he let the people keep their religions and customs. He even sacrificed to their local gods. Then, in as an act of piety, or a shrewd political move, he released the Jews from their 70 years of “Babylonian Captivity.” It was a strange sort of captivity: Babylon was wealthy and cosmopolitan, and there the Hebrews learned literacy. After their release, during what we call the Post-Exilic period, the Hebrews considered Babylon so evil… that most of the them preferred to stay in “captivity.” It seems they had gotten used to a cultured community without the yoke of Yahveh! 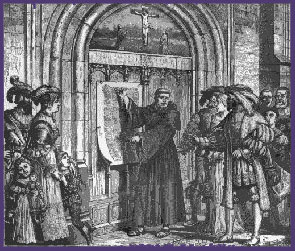 Last Wednesday, October 31, but in 1517, the Protestant Reformation began in Germany, when 31-year-old Martin Luther posted his 95 theses at Wittenberg Cathedral. That document attacked papal abuses and the sale of offices and indulgences by church officials. The Medici pope who condemned Luther’s heresy, Leo X (pope 1513-1521), was remarkably corrupt, as even the Catholic Encyclopedia gingerly admits: he enjoyed indecent comedies in the Vatican, lavish spending, gross nepotism, and homosexual liaisons. All Italy knew it, and all Europe begged for reform. But corruption was almost a tradition, reaching back centuries before Leo and enduring long afterward. Martin Luther was coarse, bigoted and superstitious, but he was far from wrong to argue for the reform of the lavish luxury and doctrinal defects of the Church at Rome. 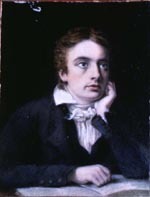 Also last Wednesday, October 31, but in 1795, British poet John Keats was born. His family was close, and when his father died in an 1804 riding accident, and his mother died of tuberculosis six years later, the 15-year-old Keats, two brothers and a sister, turned to each other. A meeting with Leigh Hunt in London yielded introductions to some of the leading literary talent in England, including Percy Bysshe Shelley, who published Keats’s sonnet, “O Solitude.” By his 21st birthday, his first long poem, “Endymion,” was published. Keats’s sonnet, “Written in Disgust of Vulgar Superstition,” emphatically rejects Christianity. William Sharp, who knew Keats, says in his biography of Joseph Severn that Keats died without any belief in a future life. 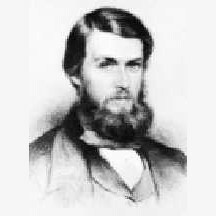 Yesterday, November 2, but in 1832, British anthropologist Sir Edward Burnett Tylor, regarded as the father of cultural anthropology, was born. Tylor’s 1865 Researches into the Early History of Mankind first proposed that Animism is the basis for all religious systems, and that therefore all religion has a natural rather than a supernatural origin. His most famous work, Primitive Culture (1871), was influenced by Darwin’s theory of biological evolution. In his writing and teaching career Tylor further developed his theory of Animism, in which everything has a soul, not just living things, and that there is an upward evolutionary relationship between primitive and modern cultures, without a supernatural element. Tylor never directly admitted his Rationalism, but there was no need, and perhaps some danger of losing his academic position. 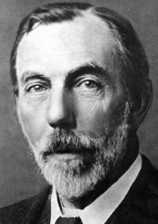 Also yesterday, November 2, but in 1852, British inorganic chemist and Nobel Laureate Sir William Ramsay was born. He learned his Rationalism at Tübingen University, Germany and, after publishing several notable papers between 1885 and 1890, Ramsay co-discovered the elements argon (Ar 1894), helium (He 1895), krypton (Kr 1898), neon (Ne 1898) and xenon (Xe 1898). Knighted in 1902, Sir William Ramsay received the Nobel Prize for chemistry in 1904, “in recognition of his services in the discovery of the inert gaseous elements in air, and his determination of their place in the periodic system.” Ramsay found a home at London’s University College, where other Freethinking professors taught, and even his Christian biographer, W.A. Tilden, has to admit that Ramsay was an Agnostic. And it was yesterday, November 2, but in 1854, that the “father of town planning,” Scottish biologist Sir Patrick Geddes was born. Geddes traveled widely and taught physiology, zoology, botany, sociology, civics and natural history – becoming a radical only in the sense that unlike his contemporaries, Geddes believed humans prospered where there was fresh air, gardens and good housing. His idealism – he envisioned a kind of European Union – led him to design many cities, frequently in India (1915-1929), and spread his ideas in the U.S. and across Europe. Geddes was knighted in 1931. 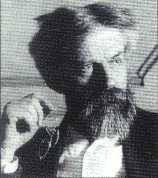 Sir Patrick Geddes was a Freethinker and an Honorary Associate of the British Rationalist Press Association (RPA). Today, November 3, but in 1534, England’s Parliament passed the first Act of Supremacy, thus making King Henry VIII head of the English church. Under Henry’s urging, and in 276 words, Parliament gave to the head of state the role until then held by the Pope. That this was payback for Pope Clement VII’s refusal to allow Henry a divorce from Katherine of Aragon seems obvious, but it is wise to be wary of single motivations. He was at least outwardly pious, as any savvy leader must be – and as Machiavelli advised a generation earlier in The Prince – but Henry had a more objective eye on the corruption of Rome and in the monasteries and parishes of England. This corruption included simony, nepotism and sexual indiscretions. While he was cleaning up the corrupt monasteries, Henry was also cleaning them out. But before criticizing Henry for appropriating the wealth of the Catholic Church to finance his pleasures and his foreign adventures, it is useful to ask just why the monasteries were so wealthy in portable property and lands in the first place. The Church certainly wasn’t relieving poverty or educating the populace to any great extent. It’s all right to say that God’s work doesn’t come cheap, but just how much does a priest in velvet vestments, living in a mansion, care about a peasant in rags, living in a hovel? King Henry making himself head of both Church and State, had at least one unintended consequence: especially in comparison to the US, England has been, and is today, one of the least religious countries in the world! 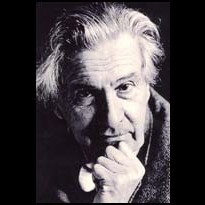 Also today, November 3, but in 1919, British writer and broadcaster Sir Ludovic Kennedy was born. Ludovic Kennedy, known as “Ludo” to his friends, embarked on a successful career as a television journalist, notably in arts and current affairs programs. 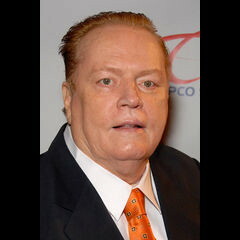 He has been a presenter on Independent Television News (ITN), and on various British TV news and entertainment shows. His book 10 Rillington Place (1965), about the mid-20th century John Christie serial murder case, led to the abolition of the death penalty in England in 1965. 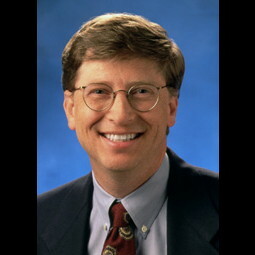 He was knighted in 1994. In 1999, Kennedy published his highly personal musings on the harm Christianity has done to civilization, All In The Mind: A Farewell To God, in which he details his philosophical objections to belief. Like most Freethinkers, Kennedy characterizes God as a creation of human beings, rather than the reverse. We can look back, but the Golden Age of Freethought is now. You can find full versions of these pages in Freethought history at the links above.